This is now my fifth year of taking part with Elf on the Shelf. Last year was slightly easier because my eldest daughter came to know that Santa isn't who she thought it was and this year my second eldest has come to the same realisation so I have another little helper. I have to admit coming up with new ideas and not repeating things has become trickier but I'm almost certain that I've managed it. I'll be posting a new round up every Saturday up til Christmas Eve so do keep checking back if you are in need of some elfspiration. 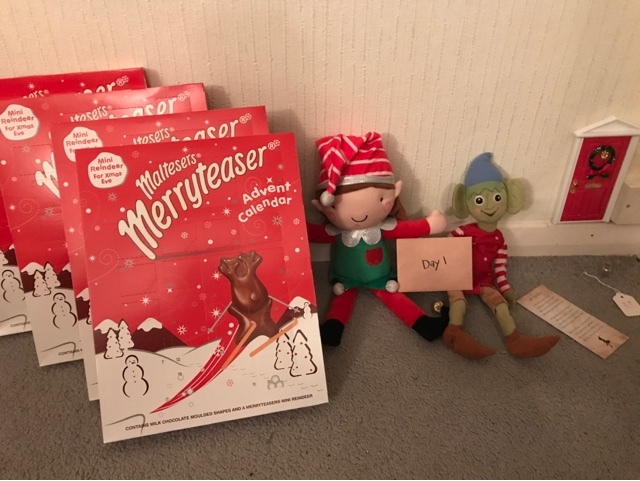 This post is a short one seen as December has only just begun but here are my ideas from day one and two of the festive countdown. 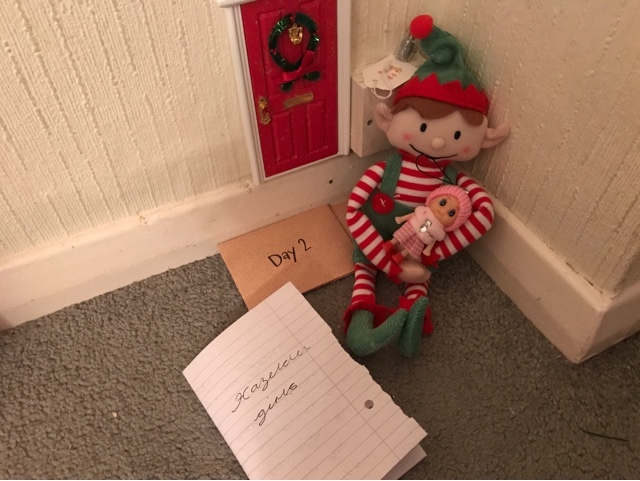 Buddy and Jovie are back and this time they came via a magical elf door. Now last year Buddy came back with a girlfriend and this year they've arrived with another new addition, a baby. How exciting! But they've gone and left the baby with the Nanny while they go out for the day. Ahh! I will be back to pinch ideas from you. hehehe I think we're on the 4th year of doing it. I love the little baby. So cute.